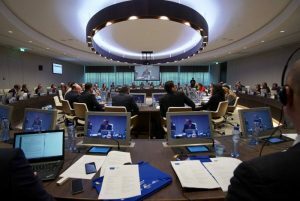 The prosecutors general of Europe and the Mediterranean countries (Algeria, Egypt, Israel, Jordan, Lebanon, Morocco, the Palestinian Authority and Tunisia) met at the second EuroMed forum in order to set guidelines on collaboration and communication, as well as to give continuity to the first forum held in 2018 in Madrid. The forum is part of the EuroMed Justice project, funded by the European Union and managed by FIIAPP in collaboration with CILC, EIPA and JCI. At this meeting, held at the headquarters of Eurojust, the participants highlighted the importance of judicial cooperation between prosecutors in Europe and the Mediterranean countries. “At Eurojust, we have learned that judicial cooperation should not stop at the borders of Europe. Bringing together colleagues from different continents, networks and organisations is exactly what Eurojust represents. We are all united in our ambition to guarantee justice for our citizens,” said Eurojust President Ladislav Hamran. The prosecutors general also shared experiences and good practices in topics such as cyberspace, judicial cooperation in criminal matters, data protection, cooperation through joint investigation teams, the fight against terrorism and organised crime, migrant smuggling and the trafficking of human beings and drugs in the Euro-Mediterranean region. 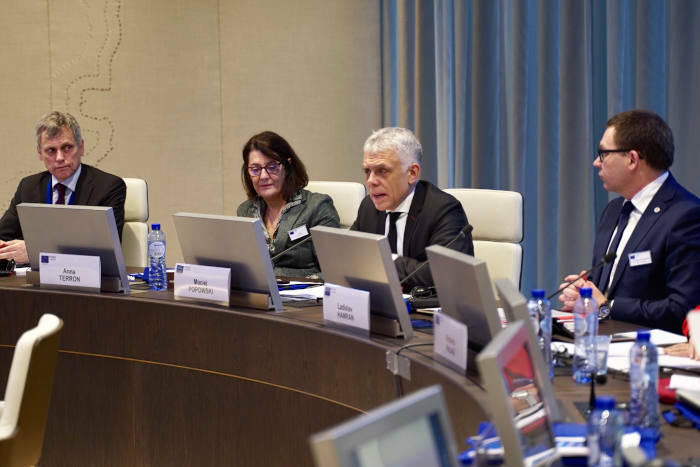 The inauguration of this meeting was attended by the president of Eurojust, Ladislav Hamran, the deputy director-general of DG NEAR, Maciej Popowski, the secretary of the European Judicial Network, Ola Löfgren and the director of FIIAPP, Anna Terrón. “This forum is the path towards better and more efficient legal cooperation between the European Union and our Mediterranean neighbours. FIIAPP is a key partner and actor for the next steps to be taken, reinforcing our ongoing commitment“, said Anna Terrón, director of FIIAPP.